I got a little bit older. 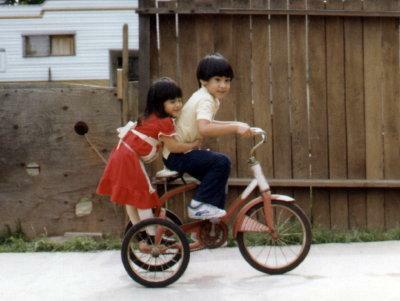 This is my sister and me riding a bike. Nothing has changed, I still enjoy riding a bike.